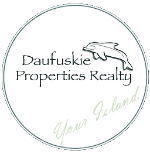 This is one of the easiest purchases I have made, and daufuskie island is not your normal realestate transaction. Andy was there to do our leg work and went above and beyond on doing things to help us.. It saved us many trips down from our home location, countless hours and money.. I have actually had Andy help me with two real estate transactions; the first back in 2005 when we bought an island beach cottage, and then again earlier this year when I bought property in the island's "Historic District." I cannot recommend Andy highly enough. He has lived on the island for many years, and knows it and the real estate market better than anyone I know. He is very professional and very detail-oriented, and can help you through any real estate transaction in a timely and thorough fashion. He is very ethical, and works hard to find a property for you that truly meets your needs. I have also talked to folks who have listed with them, and am told he leaves no stone unturned in marketing their property.